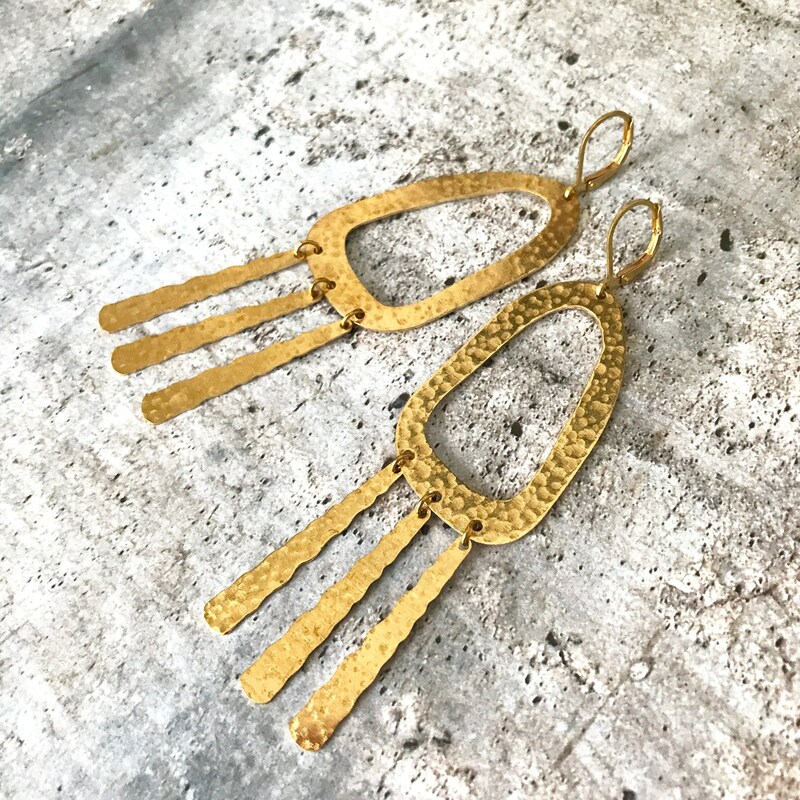 Modern and trendy statement earrings made with brass components and hooks. 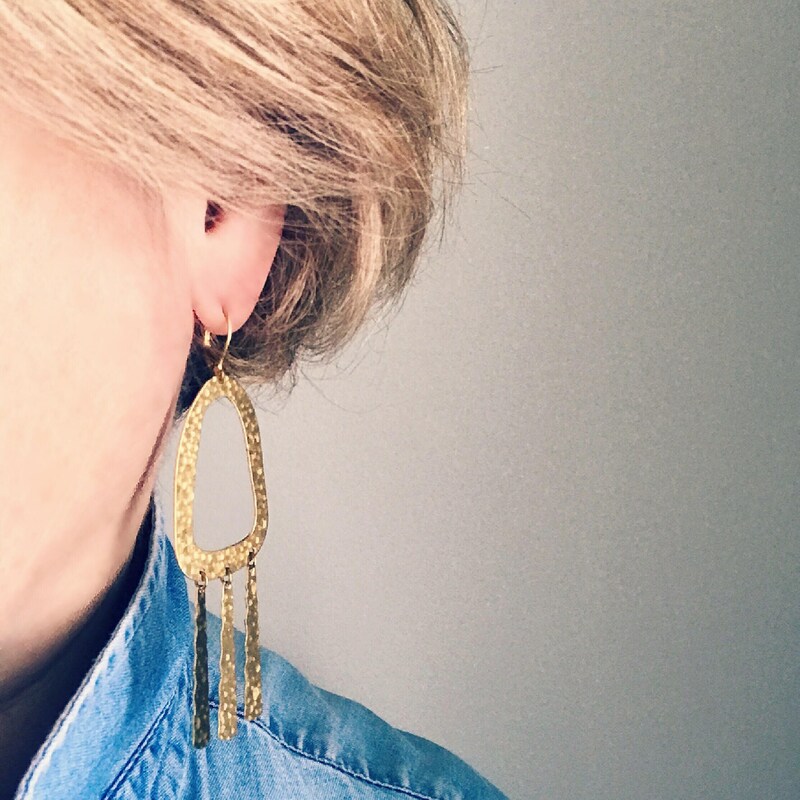 These statement earrings are light and will look absolutely amazing all year long and on any occasion: for the office or for a night on the town. 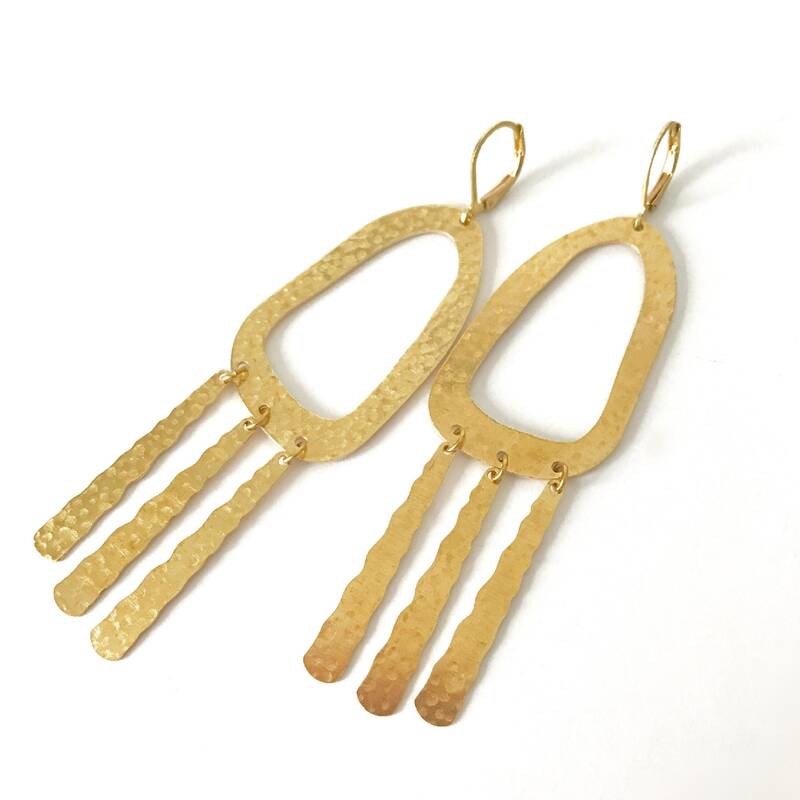 They will also make a great gift for women of all ages who like trendy accessories! Total length (from to of hooks to bottom circle): 9.3 cm or 3 5/8 inches.